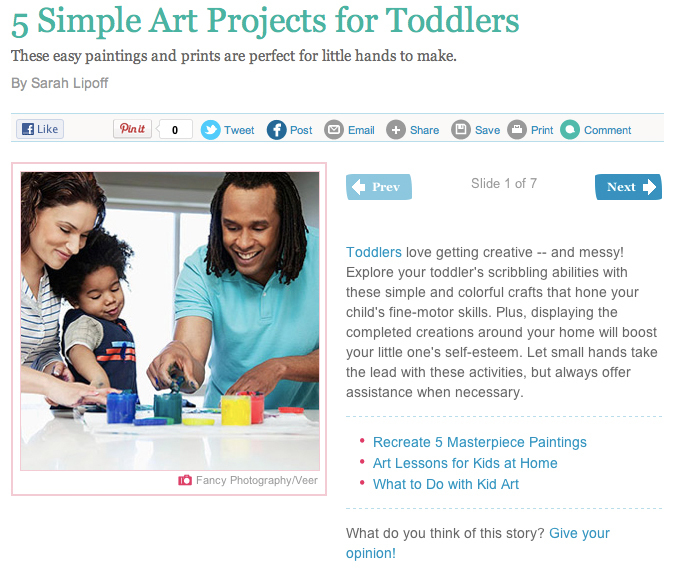 I’m so excited to share another collection of creative art activities with Parents.com! These projects are perfect for tots and the results are so awesome you might want to pop the finished artwork in a frame. In fact, I have the red sparkly painting that my daughter did for this slideshow hanging in my office. So check it out and hopefully you’ll be inspired to try one of these art activities with your little one!